Whether as a hobby, for travel or after work: promotional items for leisure and outdoor use are very much in vogue. Not only sporting goods are in demand, but also garden articles and toys. These types of promotional gifts are especially popular and your customers will be thrilled to receive one. There’s no better way to ensure they don’t forget you and your company’s great service! Promotional items for leisure and outdoor use are the perfect choice for special occasions and they can be customised with your unique logo or advertising slogan. These gifts become even more meaningful when they fit your company, as well as the recipient’s interests and thus, mean something special to long-standing, loyal customers who know your company well. This also makes these types of gifts perfect for business partners and staff. These gifts are effective because they help their recipients escape from the everyday world of work, and remind them of things that are fun, of good times. 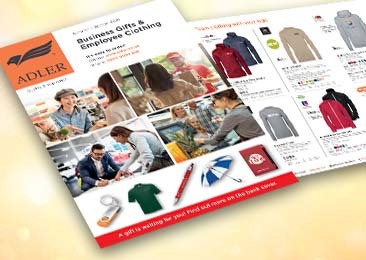 For even more advertising success, we recommend selecting promotional gifts that are seasonal, ideal for a specific target audience or that reflect your company in some manner. Summer: from beach balls and badminton sets to collapsible bottles – in summer, the choice of promotional gifts is endless. Barbeques and picnics: your customers will really enjoy eating al fresco with BBQ tongs featuring your company design, a BBQ apron complete with BBQ tools, or a stylish picnic backpack. On the road: you’ll never regret taking an air pressure gauge, security lock or a travel pillow with you when you travel. For the little ones: teddies, game collections and painting sets are always winners with the little ones and never fail to keep them entertained. Whatever product you ultimately choose, it’s important that you customise the gift with your logo to create an individual design. This will increase your company’s recognition value and ensure that customers immediately associate the gift with your company. By choosing outdoor or leisure promotional items, you create a positive effect. Your customers will use those gifts in their leisure time and have great fun doing so – all the while, your discreet advertisement will consistently remind them of your products and services. As a result, new and existing customers will establish a positive association with your company and are far more likely to shop at your stores or to come to you for the services you offer. This kind of promotional item not only creates enormous added value, it also gives your sales a major boost. And the great thing is, you can hand out leisure items all year round and customers will remember them fondly. People will tell their friends and colleagues about these kinds of gifts, generating even more awareness of your company and contributing to your long-term success.